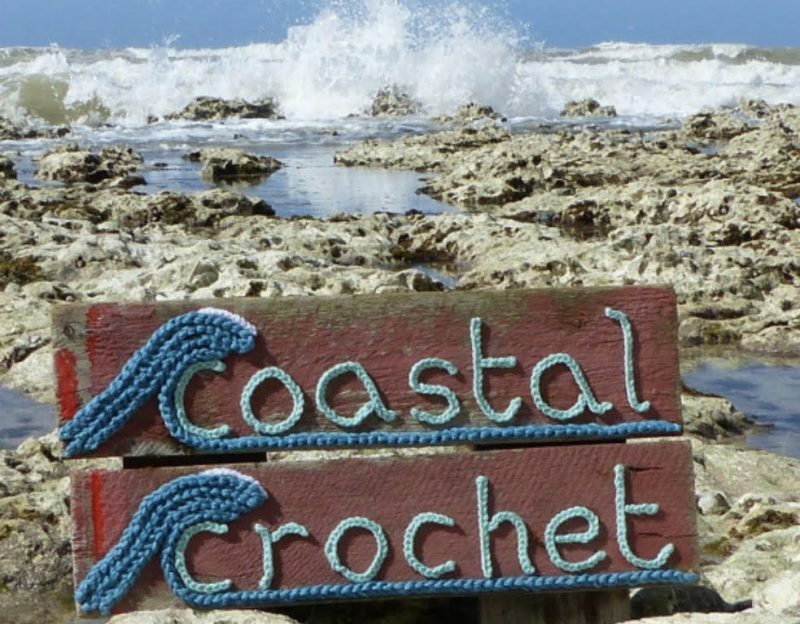 It’s the third week of my Seaside Stash Busting Blanket ‘Crochet – Along’ already! Aren’t they all amazing! 🙂 And the colours people have used – WOW! 🙂 🙂 Over on Instagram I publish two rows on a Monday and two rows on a Friday so if you follow the pattern on there you get the first two rows of each week a little earlier. And here are all the next rows for this week. We’re actually crocheting five rows because the last three rows for this week are a set of three which combined give the lovely effect with the coloured strip in the middle. As I’m using all my stash I can’t stick with only the obvious coastal colours but the colours I’ve used for these rows remind me of all those coastal sunsets when the sky and the sea turn yellow, orange and red! So following on from last weeks Row 8, we now have to counterbalance those waves so we’ll be crocheting dc’s into the dtr’s from Row 8, htr’s into the tr’s, tr’s into the htr’s and dtr’s into the dc’s etc. So for those of you working with a different number of stitches to me (I know there are a few of you), just remember that. And that’s it… a simple but really effective way to create some two coloured crochet without the obvious stripe effect! Ace! Thanks Eleonora looks fabulous! Hi…just started…and I love this pattern. Thanks a million. Everyone has made a beautiful start. Congrats on the success of your Crochet along. Looks amazing.